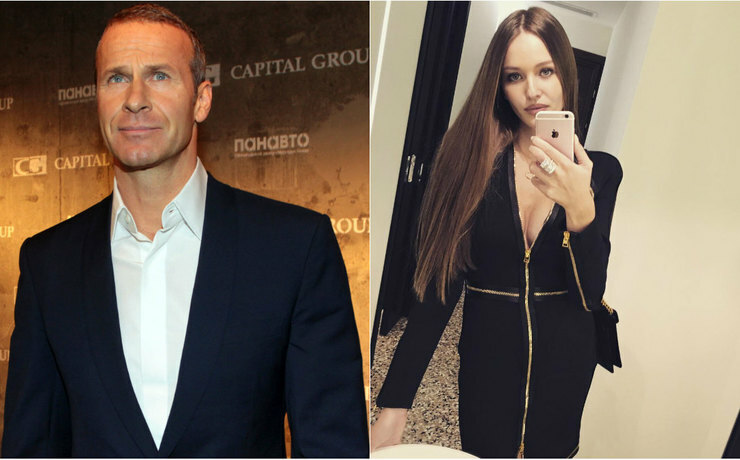 In February this year, a Russian businessman, Chairman of the Board of Directors and co-owner of the company "Capital Group", 53-year-old Vladislav Doronin, has become a father again: his girlfriend, 22 year-old model Kristina Romanova gave birth to baby. Although it took her over a couple of months to fully get in shape! 3 months after giving birth the young mother is already demonstrating a perfect figure! In her Instagram Kristina said that she started to work out almost immediately after giving birth. In her photoblog girl regularly posts photos taken in the gym. This time, Romanova showed again the "sport" picture. Girl posed in leggings and in a short top showing flat stomach. "I love open air exercise," - wrote Kristina in Instagram. Subscribers gave Kristina all sorts of compliments and said that she was fully ready for the catwalk and asked about diet of the model. Kristina said that there was nothing supernatural in her diet. According to her, in order to maintain harmony, it is important to eat less carbs and not to skip a workout. Young model Kristina Romanova gave birth to Vladislav Doronin’s second child. Almost immediately after giving birth she started working out. Kristina was able to get in shape in just a few months, she tried to eat less carbohydrates and often trained in the gym. Kristina’s pregnancy became known in the summer of last year, when she published a photo of herself with rounded belly. After parting with the model Naomi Campbell Vladislav Doronin started dating Kristina Romanova. With 21-year marriage under his belt, Doronin started relationships with Kristina Romanova, who is a little older than his daughter Catherine.